Bolivia is home to the world’s highest city (La Paz at 3600 meters above sea level), the world’s highest town (Potosi at 4090 meters) and the worlds highest navigable lake (Lake Titicaca at 3827 meters) – pretty much everything is high up in Bolivia. All this high altitude can be difficult for many travelers and can pose a serious health risk if the correct precautions aren’t taken. Altitude sickness, also known as acute mountain sickness (AMS), typically occurs above 2,400 meters and is caused by exposure to decreased oxygen at high altitudes. It often causes tiredness and nausea but can also cause swelling of the face and hands, difficulty sleeping, and severe headaches. During our Bolivia Salt Flats Tour from Tupiza to Uyuni, my travel partner was hit with a bad spell of altitude sickness. Neither of us had previously experienced high altitude and weren’t sure how it would effect us. I took acetazolamide (altitude medication) but due to a sulfa allergy, my friend was unable to take the meds. 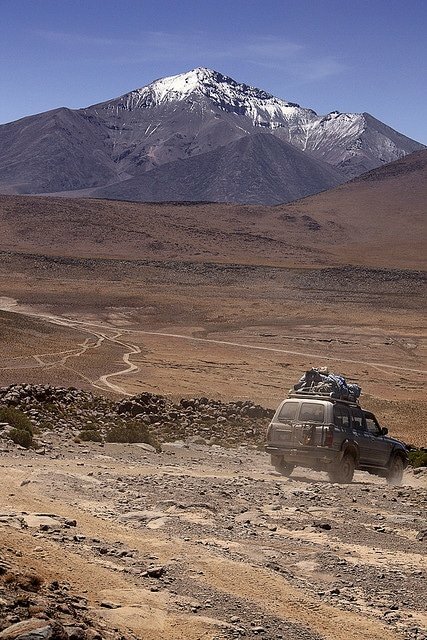 The tour began in Tupiza at around 2,990m and ascended to 4,660m near San Antonio de Lipez on the first day. Within hours her energy was drained, she had a massive headache, became very dizzy and began vomiting. I attributed her AMS to our ascending too fast, and although her symptoms went away after about 3 days, it would have made a much more enjoyable trip for her if we had taken better precautions to prevent it. Taking coca leaves in tea or with sweets seemed to help calm her stomach enough to give her a good nights sleep and she began to recover soon after and was finally able to enjoy the beautiful Salar.